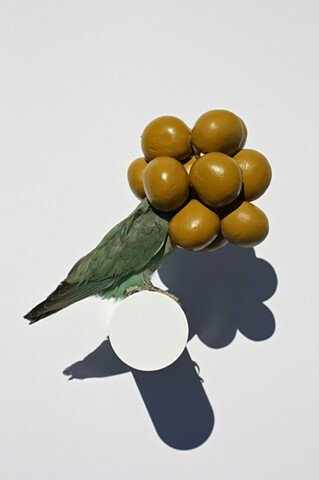 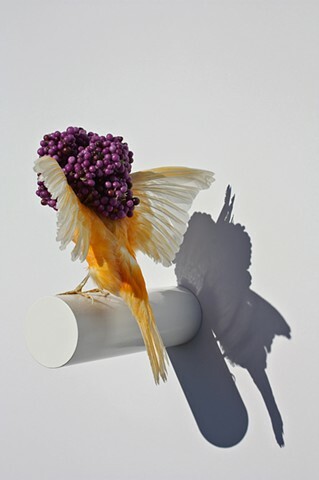 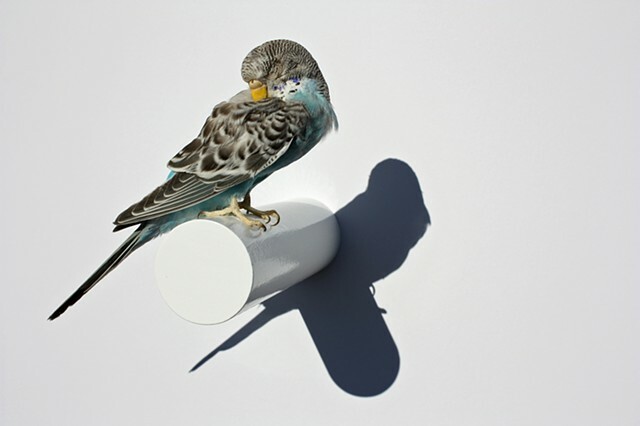 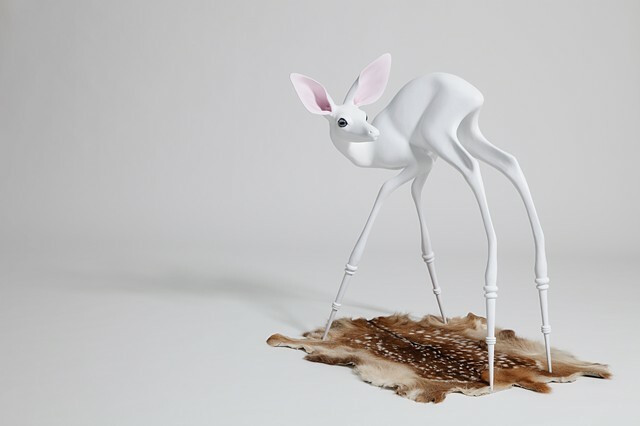 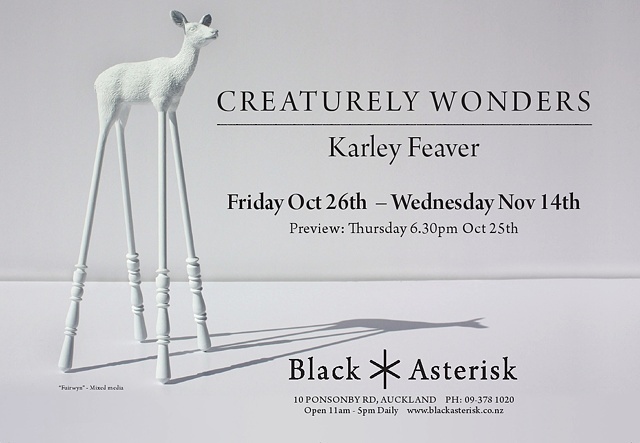 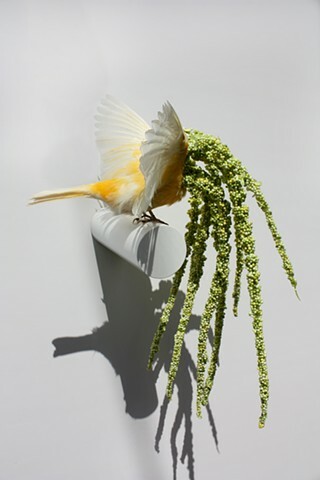 Karley Feaver’s exhibition, Creaturely Wonders, challenges the common aversion towards taxidermy in the home by introducing abstract forms that blur the lines between traditional taxidermy and modern sculpture. 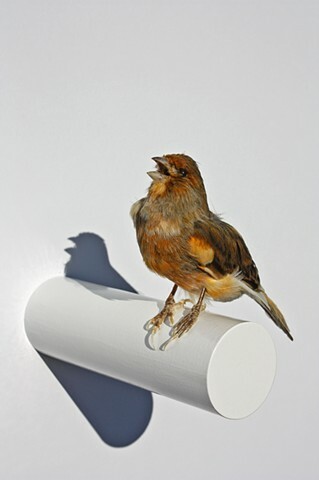 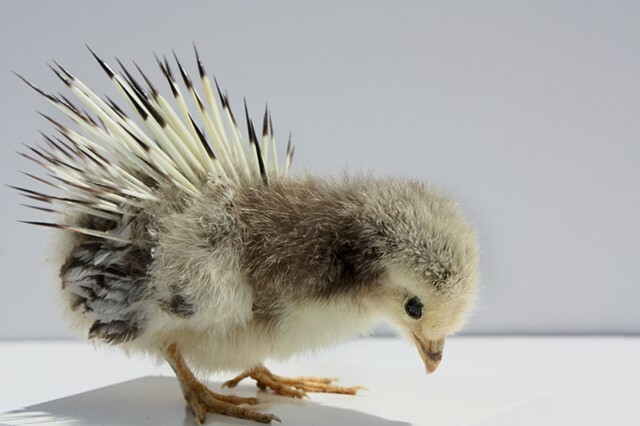 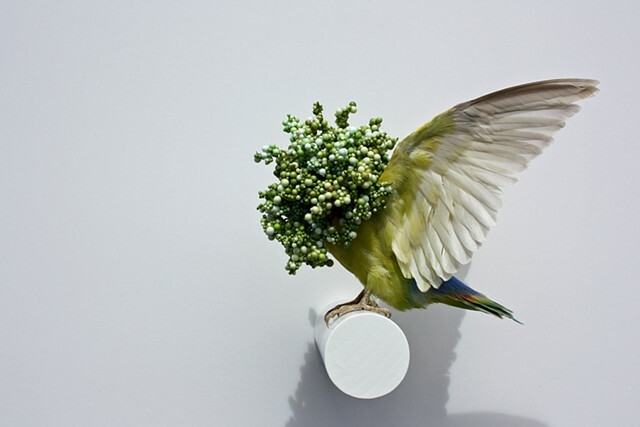 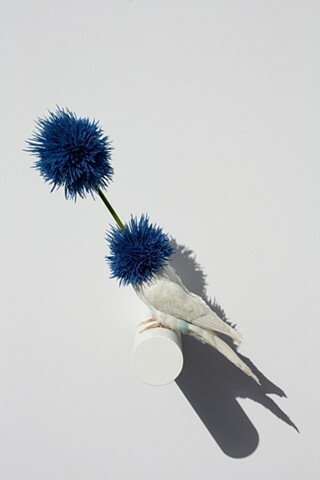 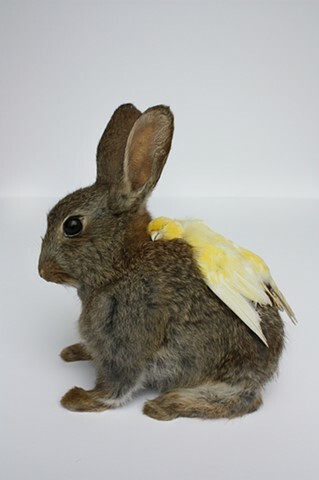 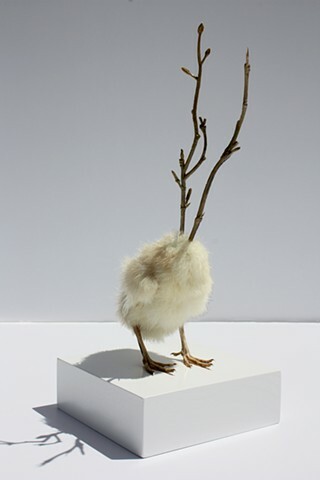 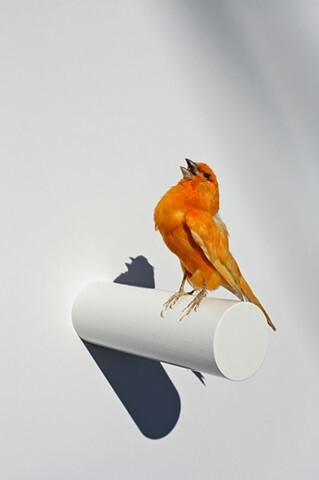 The works intend to break morbid perceptions of taxidermy and replace them with more life-affirming connections. 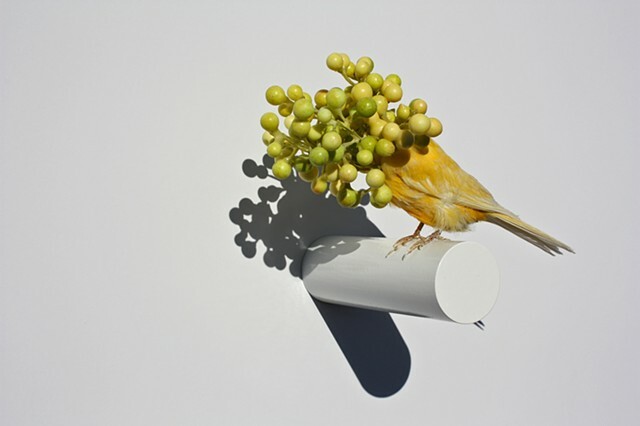 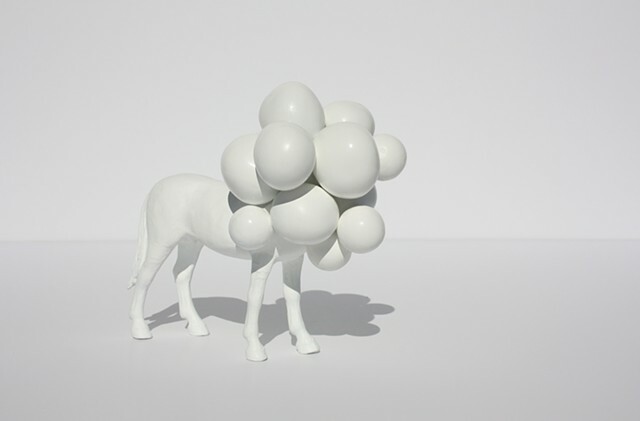 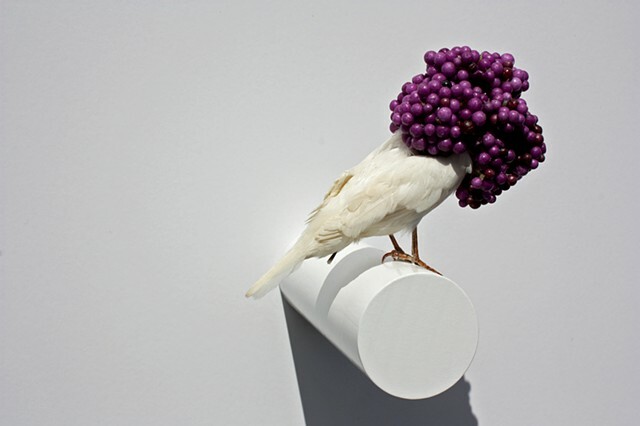 Some of the works are purely animal, while others are the possible results of crossbreeding between animal and flora. 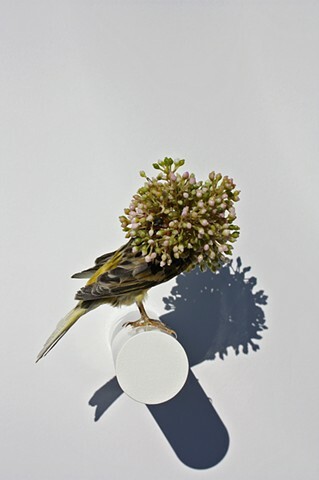 Karley's current interests arise from the boundary between what we call natural and artificial and nature’s ability to survive in different forms by adapting, adjusting and mutating into its new urban setting. 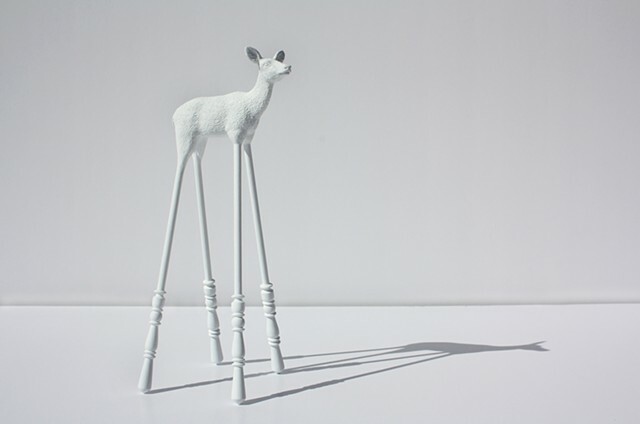 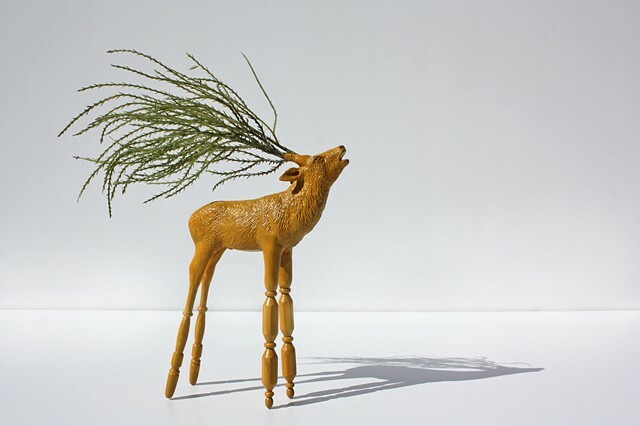 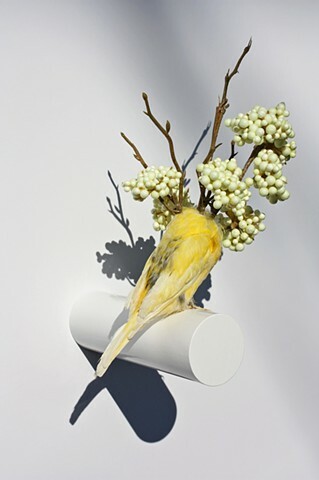 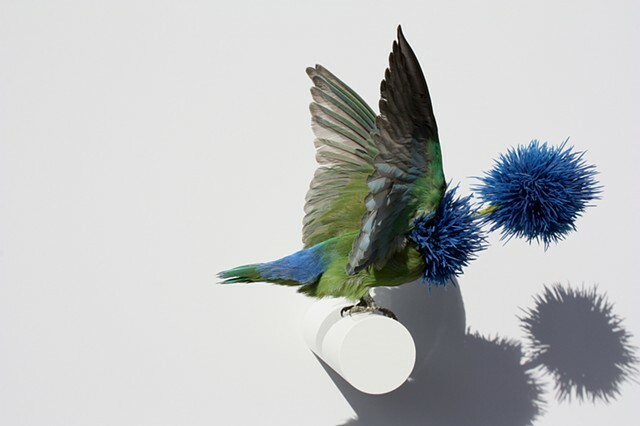 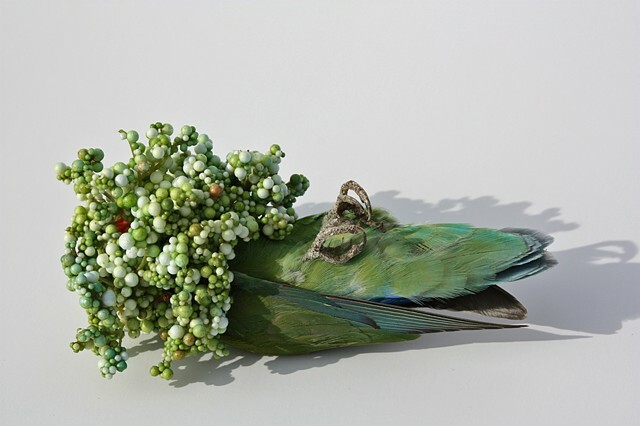 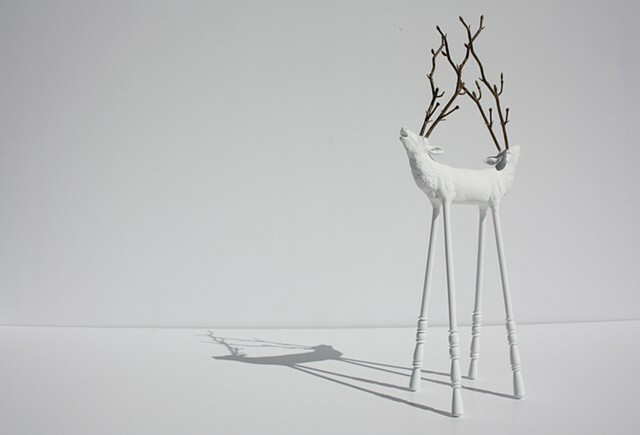 Her use of animals and taxidermy highlights the domestication of nature (taming and bringing it indoors) and accentuates its value as an aesthetic object. 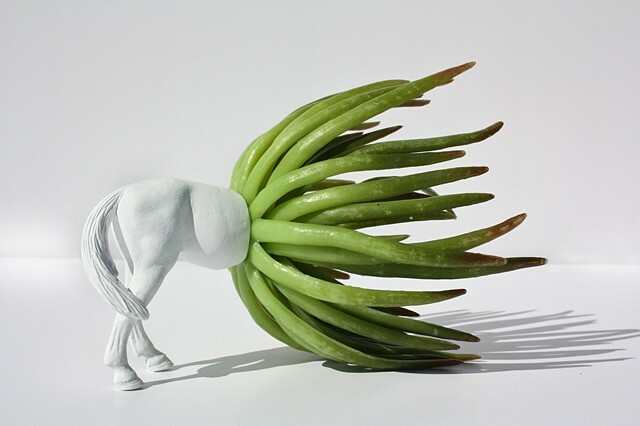 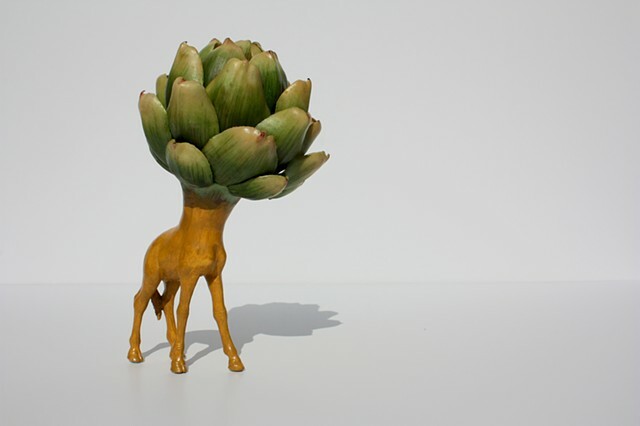 “I am fascinated by how bringing nature indoors, along with an anthropomorphic idea, changes the way people view these forms. 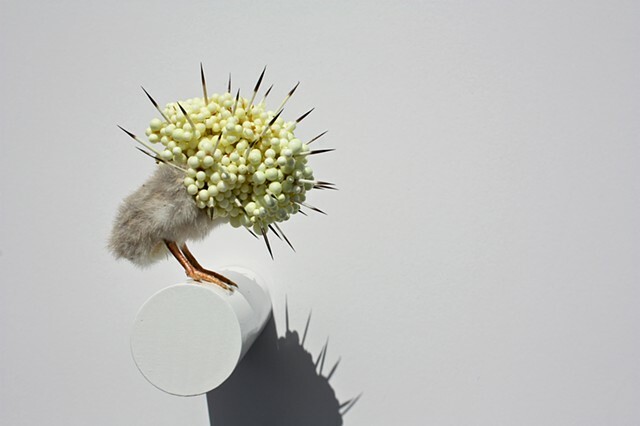 I am exploring how each could exist in a domestic setting by adapting to their surroundings. 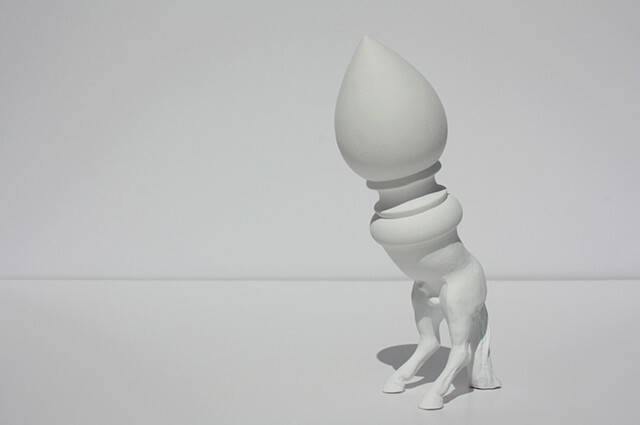 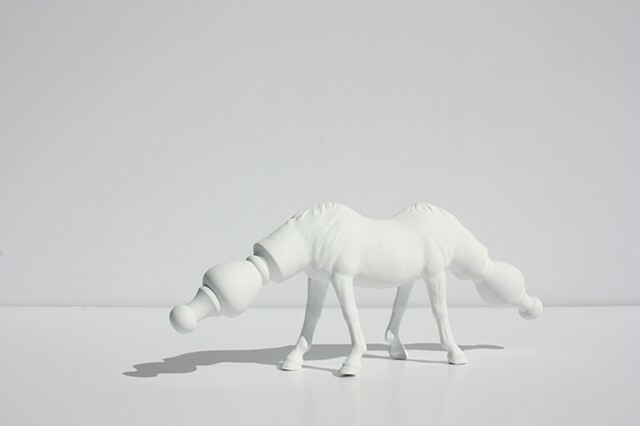 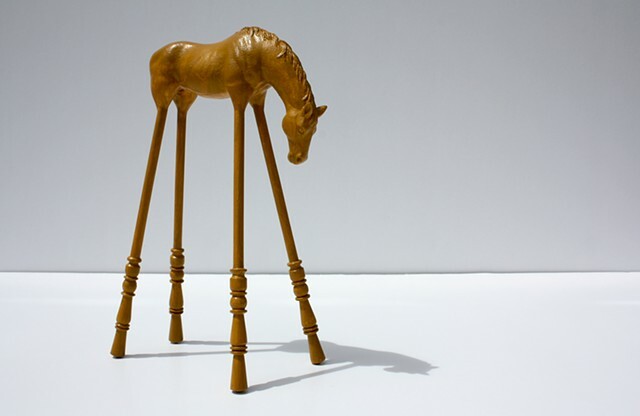 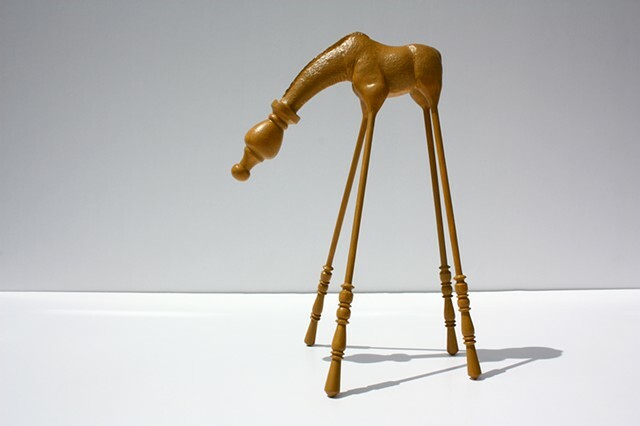 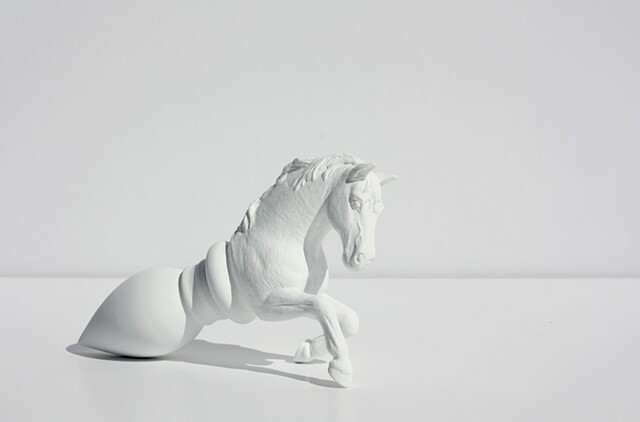 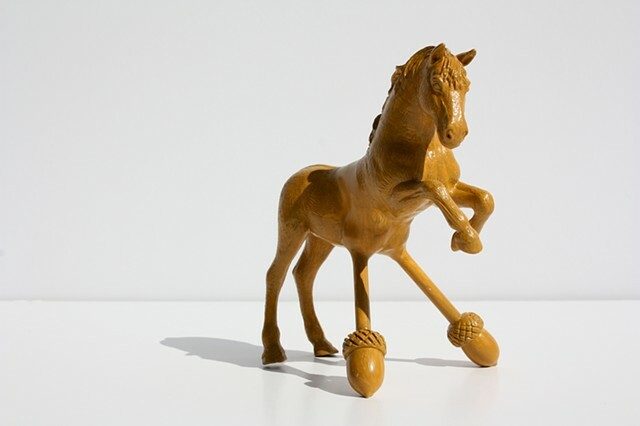 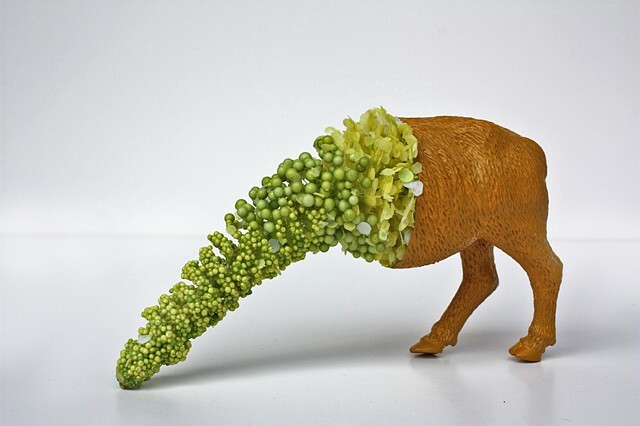 Through this, my investigations of the animals have also developed into sculpture by morphing animals and other various objects into newly formed creations”.